Beverage Promotional Jobs are some of the best modeling jobs you can have because they pay really good, they are extremely fun and you get to meet new people. Becoming a beverage promotional model for a major beverage brand such as Red Bull, Miller Lite, Monster Energy, Rockstar Energy Drink and other beverages can be challenging if you don't know how to get started. Once you learn how to get started, you can make a lot of money and have the time of your life. 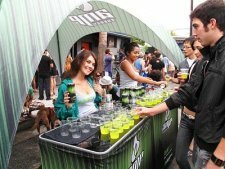 For Example, Bianca, Shannon, Liron, Marina and Nicole in the below photo made $30 per hour Promoting Miller Lite. 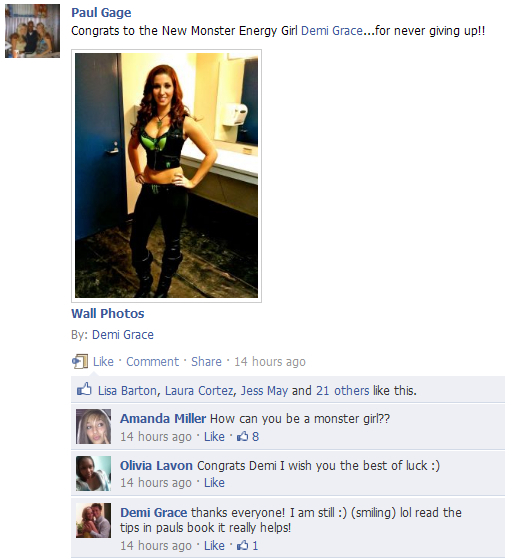 So How Did Demi Become a Monster Girl? Demi got hired because I told her what to say to impress Kelly during the interview. As a beverage marketing consultant, I have hired, trained and helped hundreds of girls get beverage promotional jobs since 2001. 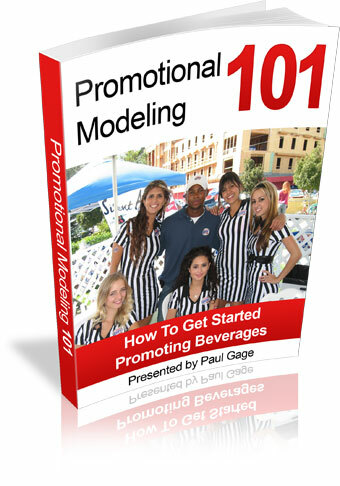 Click on my eBook so you can see the topics that will help you get a beverage promotional job. This book will teach you exactly what to submit and say to get these model managers to interview you. You will also learn how to answer all the possible questions they will ask you in the interview. P.S. The reason I wrote this book was because "I Know You Need It"
There are so many girls that want to become beverage promotional models and they face many hurdles. Promotional modeling 101 will show you everything you need to do to get hired even if you don't have any promotional modeling experience. 100% Satisfaction or Your Money Back - If you are not satisfied for any reason, you have 60 days to get a full 100% refund. Your refund will be issued through PayPal, so you have nothing to risk. If for any reason you do not get directed to secure page, contact me immediately. You will also receive an email with a link to download your books.